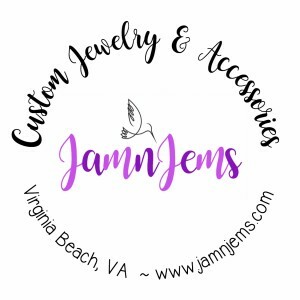 Custom Jewelry and Accessories, personalized using YOUR favorite Photos, Logo, Artwork, Quote, Handwritten message or ANY Digital Image. I am passionate about making this Jewelry! I feel blessed to have you share your treasured snap shots, hand written messages, childrens artwork, pet photos, celebrations and the stories that accompany them about your loved ones here and gone. I feel honored to be able to help you capture those moments and turn them into in my Custom Jewelry Items. 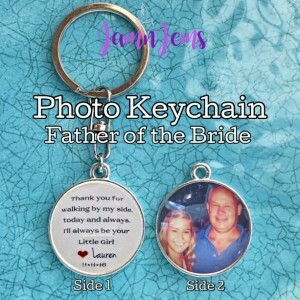 I specialize in Creating Custom personalized Charms, Pendants, Bracelets, Keychains and other promotional items for Direct Sales Consultants, Businesses, Clubs, Schools, Organizations and Charities. 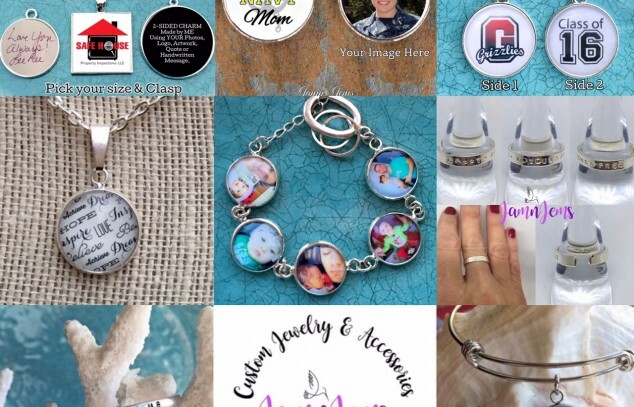 I would be happy to work with you, using your images or logos, to create a custom item to use for Fundraisers, Conference & Meeting giveaways and gifts, Promotional Business Items or an Incentive or Rewards program to help you motivate your Sales Team. 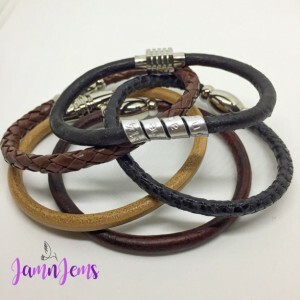 I offer a BULK discount with NO MINIMUM ORDER and in some cases will drop-ship the items directly to your Team Members, to save you time and money on additional shipping costs. Direct Sales Consultants and Team Leaders!! You may not see your company represented in my Shop. I am unable to display many of the Custom items that have been created for Direct Sales Consultants, due to limitations on this platform. However, I can recreate ANY item shown in my Shop using images that YOU send me! I have worked with New and Seasoned Sales Consultants and Team Leaders from: Jamberry Nails, LuLaRoe, Younique, Scentsy, Pink Zebra, Origami Owl, Perfectly Posh and Rodan and Fields to name a few. Contact me here, or feel free to email me at - (jamnjems@gmail.com).